We believe in relationships, not transactions. Hearing care and treatment is not just a one-time purchase or visit. As Doctors of Audiology, we are concerned with your overall health. Your medical history, medications, and conditions are key factors in determining the best treatment for you. Just like with your internist, dentist, and other medical specialists you see, someone who knows you, your history, your family, and your needs is always best. Changes in your medications, heart function, memory, blood pressure, and other medical conditions can affect and cause changes in your hearing and processing ability. We want to be the doctors you trust to coordinate your hearing health with the rest of your health. We do not treat ears. We treat the brain. You do not hear with your ear. Your ears are merely appendages to catch sound and send it to your brain. Your brain processes and makes sense of the sound transmitted from your ears. It is critical for the brain to receive the correct amount and quality of sound stimulation. 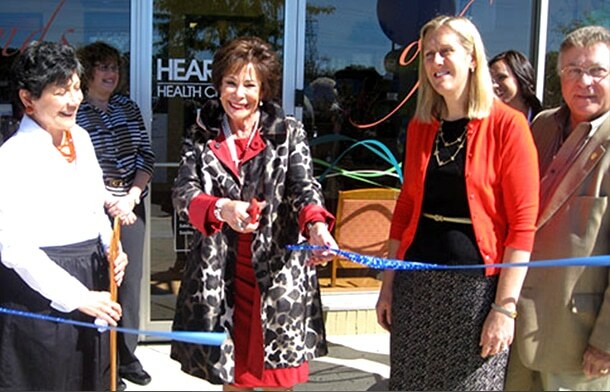 Hearing Health Center was the first practice, nationwide, to recognize “auditory deprivation”. Inadequate auditory stimulation to the brain causes physical (loss of brain tissue and brain shrinkage) and processing (inability to understand clearly) deterioration. We offer and utilize every manufacturer, model, and type of hearing aid/device. Most hearing aid practices and dispensers use one or two hearing aid manufacturers or brands. Uniquely, Hearing Health Center has access to every manufacturer and type of hearing device available. We want to make sure that you get what is right for you. We specialize in re-training the brain. Hearing treatment is more than just putting a piece of plastic on or in your ears. The best hearing treatment…successful hearing treatment…requires verification of the sound reaching your brain and training the brain how to accept, integrate, and use all of the new stimulation. The practice has grown to become Chicago’s premier hearing facility. The doctors of audiology at Hearing Health Center are renowned for their skill in comprehensive hearing assessments, diagnosing and treatment of balance and vestibular disorders, and prescribing and individually tuning every type of hearing aid and personal communication device available. Below are links to our blog posts referencing Hearing Health Center in the news; click to read the full post and learn more about how we serve the Chicago area community. I got my new hearing aids from Hearing Health Center when I was in town for a concert. I didn’t know I could hear like this.